The instant petition has challenged the validity of the Constitution 99th Amendment Act, 2014 and of the National Judicial Appointments Commission Act 2014. The petition has also sought a direction to the Union of India to set-up a broad-based full-time body for the selection of the judges of the Hon’ble Supreme Court of India and the Hon’ble High Courts that would work in a transparent manner and would evaluate candidates on set objective criteria. Judicial integrity, judicial independence and judicial review are part of the basic structure of our Constitution as held in SCAORA case [1993(4) SCC 441]). Judicial integrity and independence is necessary for the maintenance of democracy and rule of law in the country. Judicial integrity is not only to be ensured by insulating the judges after their appointment, but also by ensuring that best persons are appointed as Judges of the Supreme Court and High Courts. The greatest care in the selection of Judges for the higher judiciary is required in order to ensure that most suitable persons with highest competence and integrity are appointed as Judges of Supreme Court and High Court. Anything less than the above would ipso facto violate the basic structure of our constitution, which includes judicial integrity, judicial independence and judicial review. The attempt to undermine the independence of the judiciary originated in 1973, after the Kesavananda Bharti judgement which struck down some constitutional amendments by saying that the basic structure of the Constitution could not be amended [(1973) 4 SCC 225]. The Government of the day decided that only those judges who are committed to the ideology of the government should be appointed. That began the process of supersession of Judges (for appointment of Chief Justices). At that time, judges were appointed by the government in “consultation” with the Chief Justice of India as provided by the Constitution. 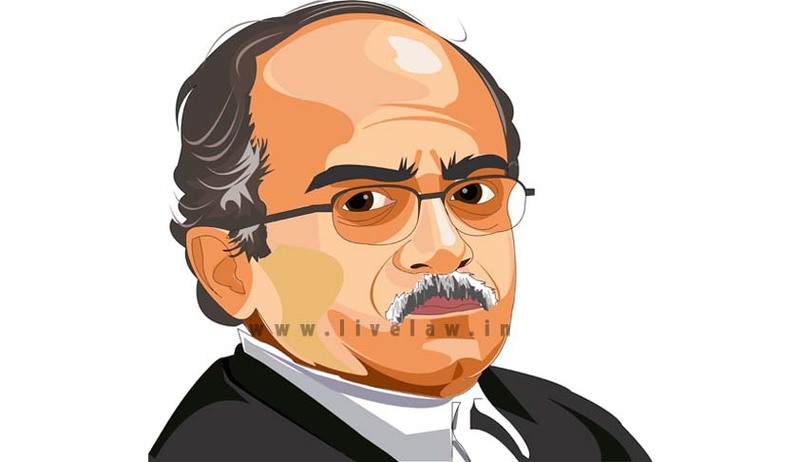 The Congress government then said that it was not bound by the advice of the Chief Justice. Thereafter some persons who had proximity to the government were appointed as Judges by the Government. The saying, that in order to become a judge, it was not important to know the law, but more important to know the law Minister, became the prevailing wisdom. The subversion of the independence of the judiciary by the appointment of convenient judges became a major issue, especially with increasing corruption within the executive. The issue of the manner of appointment of judges was first raised in S.P. Gupta’s case [1981 (Supp) SCC 87]. The question was whether the government or the Chief Justice should have primacy in the matter of appointment of judges, especially because independence of the judiciary had been declared a basic feature of the Constitution. In that case, the majority held that primacy in judicial appointments was with the government and it could disregard the opinion of the Chief Justice in the matter of appointments and transfers of judges and Chief Justices. But as this led to more brazenly partisan appointments, the issue was referred to a larger bench for reconsideration. Finally in 1993, the view in S.P. Gupta’s case was reversed by an innovative judgement in the Supreme Court Advocate on Record Association case [1993(4) SCC 441], which wrested the control in the matter of judicial appointments from the executive and vested it with the judiciary. The words “in consultation with the Chief Justice” was interpreted to mean, “with the consent of the Chief Justice”. The meaning of Chief Justice was interpreted as, a collegium of Chief Justice plus 3 senior judges of the Court. In fact, a new elaborate procedure was laid out by the court for appointment of judges, in which the role of the government was reduced to returning a name recommended by the collegium for reconsideration. If the collegium reiterated its recommendation, the President would have no option but to go through with the appointment. High Court appointments would also go through a similar procedure, except that the recommendations there would originate from the collegium of the High Courts. In 1998, this Hon’ble Court further tweaked its judgment of 1993 in a Presidential Reference on this issue [(1998) 7 SCC 739]. The collegium was widened to 5 judges. Consultation with other judges in the court who came from the same High Court as the proposed nominee was also provided. But the control over the appointments continued to vest with the Judiciary. This system of appointment of judges by the judiciary did lead to the de-politicization of the judiciary to a large extent and did substantially improve its independence. But the process of appointments was still shrouded in secrecy and keeping the control over appointments with sitting judges who had little time from their judicial work, coupled with the lack of transparency in such appointments led to nepotism and arbitrary appointments. Neither any criterion for selection was laid down nor was any system was devised to evaluate various candidates in the zone of consideration on any criteria. No system of inviting any applications or nominations was devised either. Thus the quality of appointments did not substantially improve even in this system. The appointments of Justice Soumitra Sen and Justice P.D. Dinakaran who had to resign facing impeachment, were also products of this judiciary driven system of appointments. The collegium system was also criticized by several jurists including Late Justice Krishna Iyer and even Late Justice J.S. Verma, the author of the original 1993 judgment. The Committee on Judicial Accountability (a voluntary body of Senior Lawyers and retired judges) proposed a bill for the Constitution of a full time and independent body called the Judicial Appointments commission for the selection of judges to the High Courts and the Supreme Court. It was proposed that such a body could be constituted from among retired judges or other eminent persons who are selected in the following manner: The Chairman to be selected by the collegium of all judges of the Supreme Court. A second member by the collegium of all Chief Justices of the High Courts. A third member by the Union Cabinet. A fourth by collegium of the leaders of Opposition of the two houses of Parliament along with the Speaker of the Lok Sabha. A fifth by a collegium of the CEC, the CAG and the CVC. Each of these members of the Judicial appointments commission would have a tenure of 5 years and would thus be independent of the government as well as of the sitting judiciary. This body would be mandated to function transparently and would have to publish the persons shortlisted for appointment for the information and comments of the people, before the final selection. Being a full time body, it would lay down the criteria for selection and would be mandated to go about its task in a structured and rational manner. However, the political executive was not interested in creating an independent full time body as exists in United Kingdom (UK) to select judicial appointees and has created an ex-officio body called NJAC vide the Constitutional amendment of 2014. Thus, the NJAC is conceived as an ex-officio body of people who would have little time to devote to appointments and does not lay down any standards of transparency in the appointments. The Constitution 99th Amendment Act 2014 makes changes in Articles 124 (as well as Article 217) of the Constitution relating to provisions for appointment of Judges of the Supreme Court and of the High Courts, and also makes some other changes in Chapter IV of Part V of the Constitution (Union Judiciary) as well as Chapter V of Part VI of the Constitution (High Courts in the States) and provides for selection of judges by the NJAC. The said Amendment does not ensure independence of the judiciary since it provides for the sitting Union Law Minister to be part of the selection body. The presence of the executive, which is not just the biggest litigant, but is also the one against whom courts exercise judicial review, in the selection panel is against the principle of judicial independence. The Act also provides for two jurists being part of the selection panel of whom political class would have the dominant say in selection. Thus, the Amendment would seriously affect the independence of the judiciary and is therefore violative of the basic structure of the Constitution of India. The Constitutional 99th Amendment Act 2014 only establishes a largely ex-officio body having three sitting judges of the Supreme Court, the sitting law minister and two jurists. Selecting more than 100 judges of the higher judiciary every year (from amongst thousands of potential candidates) in a rational and fair manner is an onerous task requiring a full-time and not an ex-officio body. Before making a selection, the candidates have to be evaluated for their competence, integrity, judicial temperament and their sensitivity for the concerns of common persons. The same cannot be done by an ex-officio body. An ex-officio body of sitting judges and ministers cannot devote the kind of time required for this task. Therefore, the said Amendment does not create a body that can fulfill the onerous task of appointing Supreme Court and High Court judges by finding out the best available talent. The Amendment does not ensure judicial integrity and thus violates the Basic Structure of the Constitution. The country therefore need a broad-based independent constitutional body that would make appointments of judges in a transparent manner by calling for applications and nominations of candidates and evaluating them on set criteria. This body can be on the lines of the Judicial Appointments Commission (JAC) of the United Kingdom, which is also a full-time body, which has adequate time, expertise and resources to select the best candidates. Having an ex-officio body would lead to arbitrary appointments which violates Article 14 and 21 of the Constitution of India. The said Articles are part of the basic structure of the Constitution and guarantee non-arbitrariness and rule of law. sine qua non for appointments to high offices as held by this Hon’ble Court in various judgments. The said Act also does not lay down any objective criteria for the selection of judges. It does not also state how the NJAC would evaluate the candidates for final selection. Therefore, the said Act gives unguided discretion to the NJAC to make arbitrary selection in an opaque manner. The said Act is thus violative of Article 14 and 21 of the Constitution, which guarantee non-arbitrariness and rule of law, and is therefore unconstitutional and void. Moreover, the Secretariat for the NJAC would not have the requisite independence, and would be dependent on the Government for its functioning and inputs about the candidates. Thus, the Act violates the principle of judicial independence and is thus unconstitutional. It is therefore essential that a full-time broad-based body is set-up that would make appointments to constitutional courts in a transparent and rational manner. The said body would first call for nominations through advertisement and evaluating candidates on set criteria. The minimum level of transparency would require that the names of shortlisted candidates ought to be made public so that the public can send any evidence, if any, against any of the shortlisted candidates to the said body, which would then take that into account. This body can be on the lines of the Judicial Appointments Commission (JAC) of the United Kingdom, which is also a full-time body, which has adequate time, expertise and resources to select the best candidates. Issue appropriate writ or order that the Constitution 99th Amendment Act, 2014 violates the basic structure of the Constitution and is void and unconstitutional. Issue appropriate writ or order that the National Judicial Appointments Commission Act, 2014 is unconstitutional and void. Issue appropriate writ or order mandating the Union of India to set-up a broad-based full-time body for the selection of the judges of the Hon’ble Supreme Court of India and the Hon’ble High Courts that would work in a transparent manner and would evaluate candidates on set objective criteria.